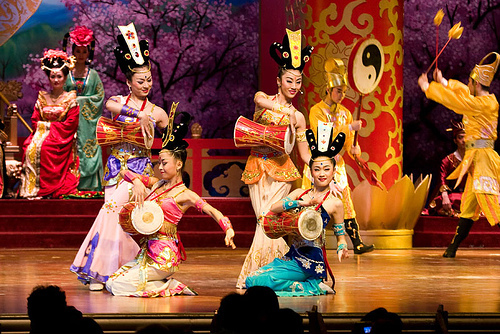 Tang dynasty Dinner Show is a performance of Changan music and dances that was originated in the Tang dynasty of Chinese history over a thousand years ago. 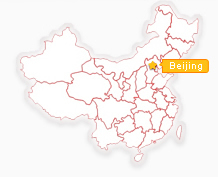 It is performed by the Tang dynasty Song & Dance Troupe, a branch of the Shaanxi Provincial Song & Dance Troupe. The musicians present the music with the Tang-dynasty-style musical instruments and the dancers wear a Tang dynasty-style robe with long white silk sleeves. 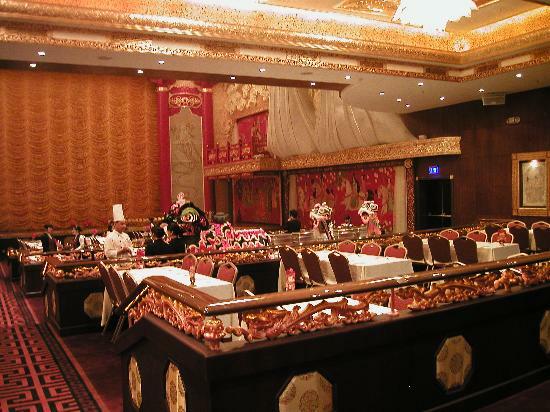 Accompanied with dinner, you will enjoy a national art that reflects the glory and richness of the Tang Dynasty era. Huaqing Palace: It is a typical piece of Tang court music and was originally performed at royal banquets at the Huaqing Palace. White Ramie Cloth Costume Dance: It was a popular folk dance during the Tang Dynasty.The dance was choreographed to demonstrate the flowing quality of ramie cloth. Da Nuo Dance: It is a sorcerers dance originating in ancient China and performed asearly as in the Zhou Dynasty.It was performed during ceremonies for good luck and to dispel evil spirits and plagues. Rainbow Skirt and Feathered Coat Dance: It is the most famous item.It was was a Tang court dance created by Yang Guifei, the favourite concubine of Tang Emperor Tang Xuanzong. Warriors Triumphal Dance:It is a triumphal dance created by Tang Taizong, The weapons and flags used in performance are replicas of those used by his soldiers. Highlighted by Spring Orioles Song: It was a piece of music that was created for Tang Gaozongs inauguration.During the ceremony, a flock of orioles flew overhead. The emperor ordered his court musicians to compose music for the Pai Xiao, a three thousand years old instrument, to imitate the sound of the orioles. There is another program such as a Farmers Home along the Wei River Valley, Glory of the Silk Country, Qui Ci Zhe Zhi Dance and Buddhas Theme.